In a battle of two NFC traditional powerhouses, the New Orleans Saints will take on the New York Giants. The Saints are in a do-or-die mode, as they are two games back in the wildcard chase with four to go. New Orleans is 5-7, but have lost their last two games to the 49ers and Falcons. The Giants come in needing a win as well. After losing to the Redskins last week, they found themselves only a game ahead of Washington and Dallas in the NFC East. New York is the defending Super Bowl Champion. The New York Giants are led by Eli Manning. The Giants have gone how Eli has gone this season. New York settled for three field goals in the Monday Night loss to the Redskins. New York is throwing for nearly 260 yards per game, and have improved on their run game, with over 114 yards per game. Ahmad Bradshaw has over 800 rushing yards, but Andre Brown leads the team with 8 touchdowns. Victor Cruz also has 8 touchdown receptions for New York. After climbing back to .500, the Saints have dropped two straight games. Last week, New Orleans could not come up with the big score to over take the Falcons. The Saints are passing for just shy of 300 yards per game. Drew Breese has completed 300 passes, for more than 3,600 yards and 36 touchdowns. The Saints run game has struggled this season, with Pierre Thomas rushing for just one touchdown. New Orleans has allowed 30+ points in four of their seven losses this season. This should be quite a dandy between two teams hungry for a win. Both of these teams can score a bunch of points. The difference between the two is the Giants have been able to stop opponents and the Saints have not. Drew Brees has found himself frustrated several times this season. Look for this to be one of those times, as the Giants force him to turn it over a couple of times. In the end, the Giants win the game. The line for this game has the Giants as the favorite over the Saints. 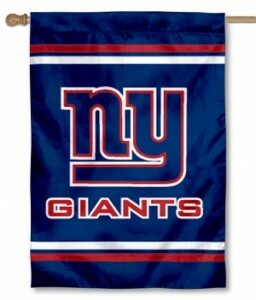 Home field advantage has a lot to do with that, as does the Giants being Super Bowl Champions – they are not ready to give up their throne yet. A win for New York will take them a long way in getting back to postseason. In the end, the Giants cover the spread of -4.5. On Sunday, a big game will be played in the nation’s capital. Both teams come in with aspirations of the postseason. 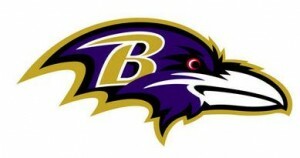 The Baltimore Ravens out of the AFC North are leading their division by two games over the Bengals and Steelers. Baltimore is coming off a home loss to the Steelers in week 13. Washington is in search of a win in a bad way. After beating the Giants last week, the Redskins are now just a single game behind them in divisional play. Washington is also a game behind the final NFC wildcard spot. The Washington Redskins have won three straight games to get right back into the hunt. Washington in those three games have outscored opponents 86-53. The Redskins have been the best rushing team in the National Football League with nearly 168 yards per game. Much of that run game is coming from Alfred Morris, with 1,106 yards and 6 touchdowns. Pierre Garcon has been back the past two games for Washington, after missing several games with injuries. Santana Moss leads the Redskins with seven touchdown receptions on the season. The Baltimore Ravens are playing without several of their top defensive players, but expect to get them back soon. Baltimore would like to get into the postseason, and then get healthy. Offensively, Ray Rice and Torrey Smith are the top players, with 15 touchdowns combined between the two. The Ravens quarterback Joe Flacco has completed 252 of 426 passes for 3,000 yards and 15 touchdowns. The Ravens have won their last three road games. Both of these teams are going to pull out all the stops to win this game. The defense of the Ravens will need to be up for the challenge of stopping the Washington run. Washington will have to deal with a hungry Ravens team, coming off a home loss. In the end, the banged up, but still tough Ravens defense will figure out a way to slow down Robert Griffin III and Baltimore will come away with a win. The Redskins are a single point favorite in this game. This game will have the feeling of a playoff game, with a lot of tense moments. Look for the Redskins quarterback to have a pretty solid day, but in the end, Baltimore will use their veteran presence to come away with a win. We are taking the underdog in this game, and betting on the Baltimore Ravens +1. In a big game within the NFC West – the San Francisco 49ers will head to St. Louis to take on the Rams. The 49ers and Rams played in Week 1-; with the game ending in a tie. The 49ers lead the division with their 8-2-1 record. They lead Seattle, who comes into Week 13 with a 6-5 record. St. Louis comes into the game with a 4-6-1 record, and they trail several teams by 1.5 games for the final wildcard spot out of the NFC. The Rams are coming off a win over Arizona, while the 49ers beat the New Orleans Saints last week. 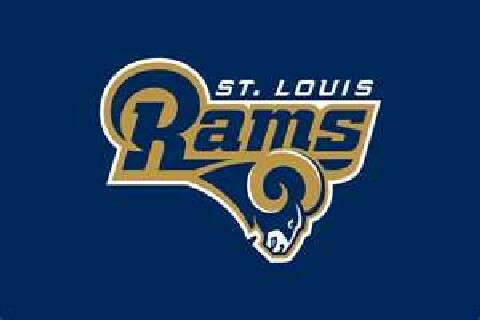 The St. Louis Rams are looking to get their offensive trio of Sam Bradford, Steven Jackson and Danny Amendola going in this game. The quarterback has thrown for just shy of 2,500 yards and 14 touchdowns. Jackson, the veteran offensive player for St. Louis has rushed for 724 yards on 174 carries, but just two touchdowns. Amendola is the top receiver, but caught just one pass last week in the win over Arizona. The defense for the Rams is allowing teams to garner 340.9 yards per game. St. Louis is playing in their second to last home game of the season. The San Francisco 49ers have turned to Collin Kaepernick at quarterback. He replaced Alex Smith, who was knocked out of the game the last time the 49ers and Rams played. Since Kapernick has returned, the 49ers have beaten both the Bears and the Saints. San Francisco is the second best rushing team in the NFL with nearly 165 yards per game. The top receiver for San Francisco is Michael Crabtree, who has five touchdown receptions. San Francisco has not lost a game since early mid-October, when they just scored a field goal against the New York Giants. The Rams are coming into this game hungry. The defense forced the Cardinals to turn the ball over four times last weekend, and scored two touchdowns. St. Louis knows they let the game get away last time, and would like to reverse that this time. The 49ers are coming off a big win, and will be poised for a little bit of a letdown. There is no doubt that San Francisco will win the division, but in this game, the hungry, upstart team comes away with the win. We are predicting the St. Louis Rams come away with a narrow win. The Rams come into this game as a touchdown underdog. The last time these two teams played, the Rams were underdogs by two touchdowns. Look for St. Louis to give the ball to Steven Jackson, and the defense will have a great plan for the 49ers quarterback Collin Kaepernick. St. Louis knows with a win in week 13, they are still in the hunt for a wildcard spot. It’s not every day we pick a touchdown underdog to win the game, but we are betting St. Louis +7, and also taking a shot at the moneyline in favor of ST. Louis.